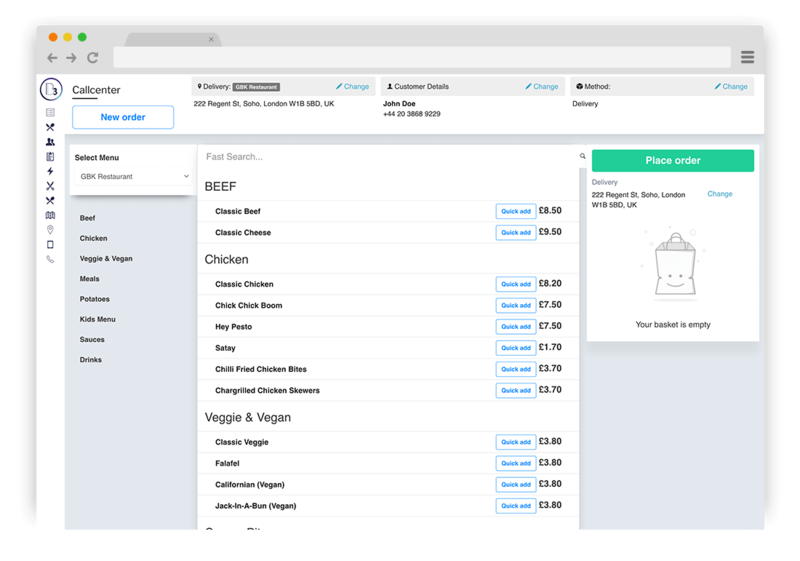 Place Orders directly to your POS - no more re-keying of orders or data confusion. Can I have multiple restaurant menus? Yes you can have as many restaurant menus as you like. Please visit B3 Website Support to learn about the pricing and usage. Does the order go directly in the POS system? Yes, we have integrated B3 Callcenter with our POS system. The order will be entered directly in the POS system. At the restaurant someone will have to approve the order once it comes in. Yes you can have unlimited operators. There is no extra charge for operators. Operators can have admin access or moderate access. Can you provide the operators as well? We do not have operators to answer phone calls, however we have partnered up with a company that provides this service using this platform. Please fill in the form bellow and we will get in touch for more information. What can you achieve with Softech? Get in touch to speak with the team who are transforming hospitality experiences.